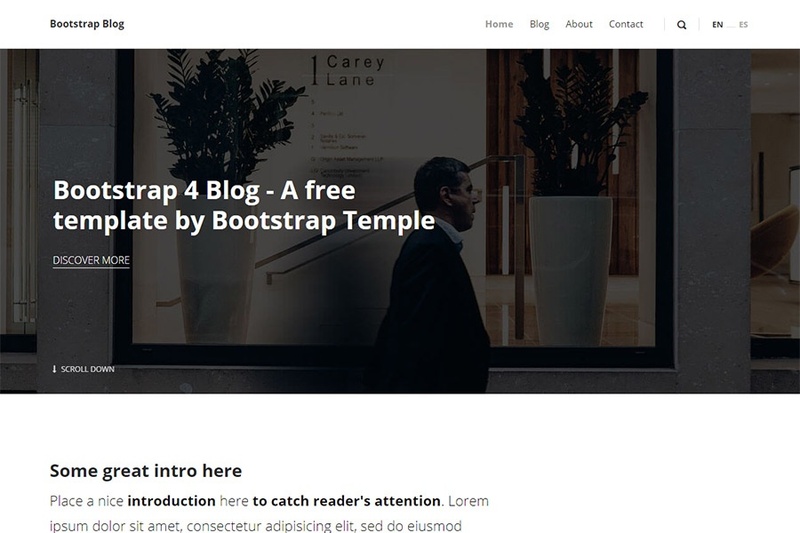 Bootstrap Blog is a free Bootstrap 4 blog template. 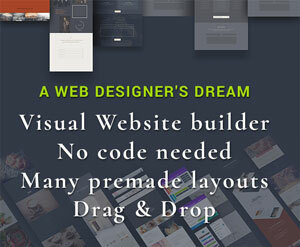 It contains 3 HTML page templates, all of them in 7 colour variants. Default colour variant is grey this time. As usual, you can switch the stylesheet's primary colour to pink, red, blue, green, blue, violet or sea blue. This template is released under the usual Bootstrapious license. You can use it freely with attribution to us. 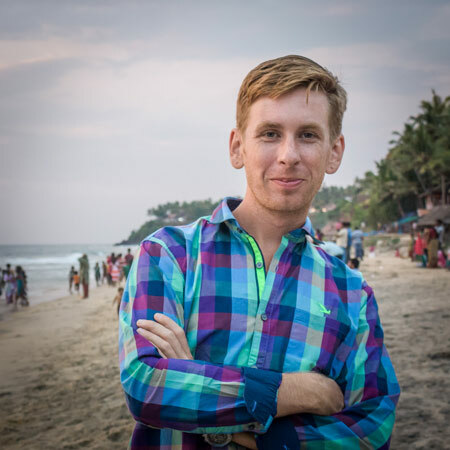 If you would prefer removing the backlink from the theme footer, please donate to support themes' development. Suggested amount per template is $10+. Also, as a bonus for donors, I can provide you with the SASS files for even easier template customisation. Drop me a line at hello@bootstrapious.com after donating. Hey man, I used the template for one of my projects, it was very easily customization and the code was very efficient. I am currently learning python Django. I am following a tutorial by justDjango and he uses the template to show you how to set up a blog. The template is well commented and I found it fun to use the template. I love this template because it seems extremely adaptible to a number of different kinds of websites. Tema bellissimo, ho dovuto solo integrare l'invio dell'email. Grazie per il lavoro che fai! Good theme, customizable and easy to use. Very focused yet flexible design - loved it! I love all that I see on Bootstrapios. I can not use it all or I would. Nicely and well organized clean code, easy to customize it. i love this simple and elegant template from bootstrapious. I found the template to be very good and it works without any flaws that I could detect. In my case I was trying to learn more abut web development, but I think it is good-enough for real world implementation. 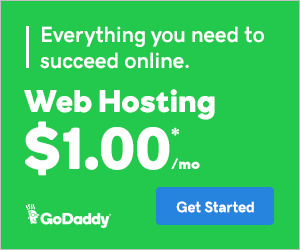 It does used some advanced techniques, so it is a good resource but also may require non-trivial experience with HTML5/CSS/Bootstrap 4. It was also nice that the author provided some documentation and free-of-charge download for personal use. Awesome website template. Clean coded. Easy to understand. Beautiful designed. Template is excellent, there is all I need, easy to use. Recommend this developer. I really enjoyed working with it. Took a look at the code to build something on my own. Great work. I simply like the template! This is awesome I really like and it is user friendly. Yes it is a great template to work with. Perfect for any need. Thanks a lot. Meanwhile I would love to have an admin panel for updating content dynamically. Great job. Some of the best templates to work with. The template is just...wow! I love these guys! I use their templates as a start-off for my Laravel blade templating. Very nice and simple template. Easy to customize. Great work. This is a very nice template. It is a good foundation for all kinds of design possibilities and ideas. 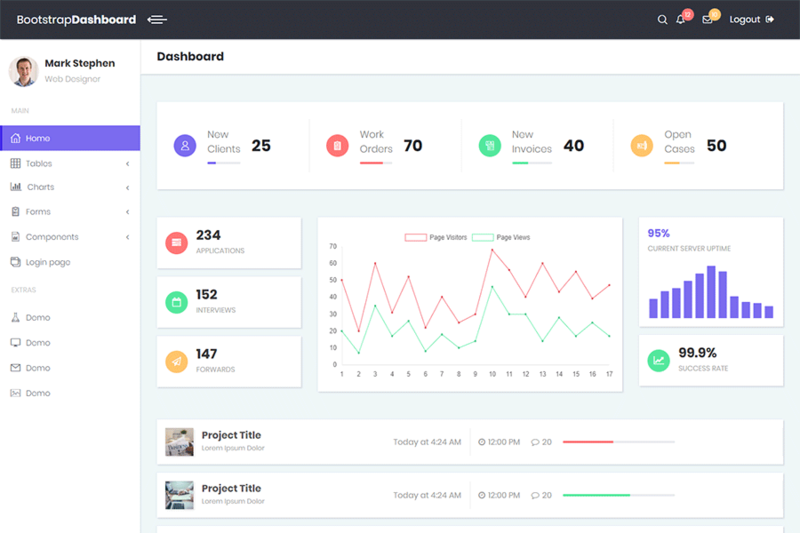 It is also a great tool for learning how to use Bootstrap 4. Great job and thanks for sharing. The quality of your code shows you are a master at what you do.